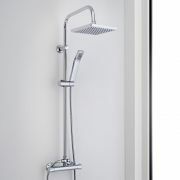 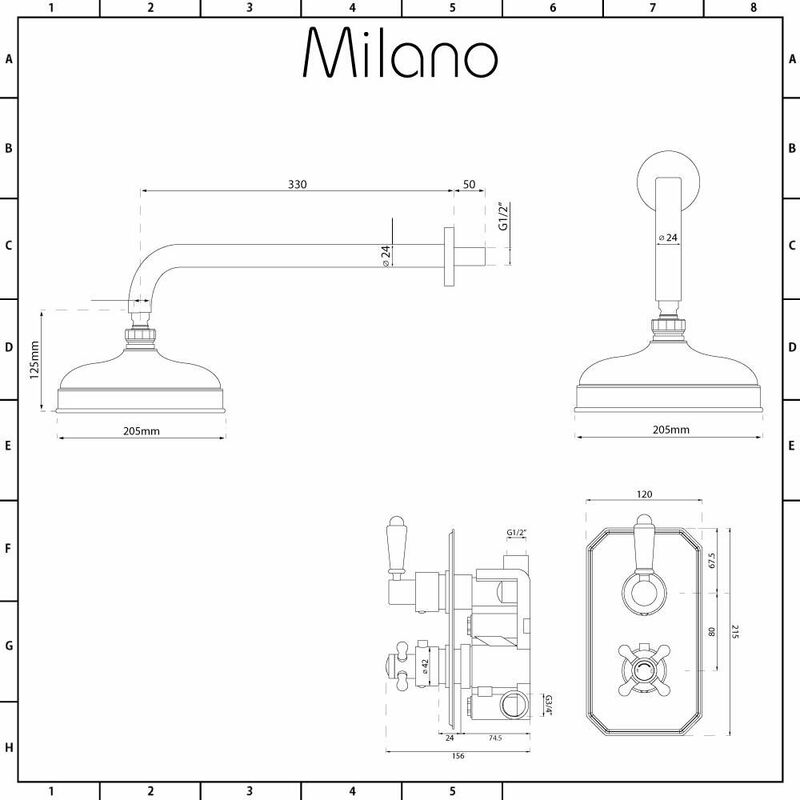 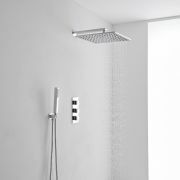 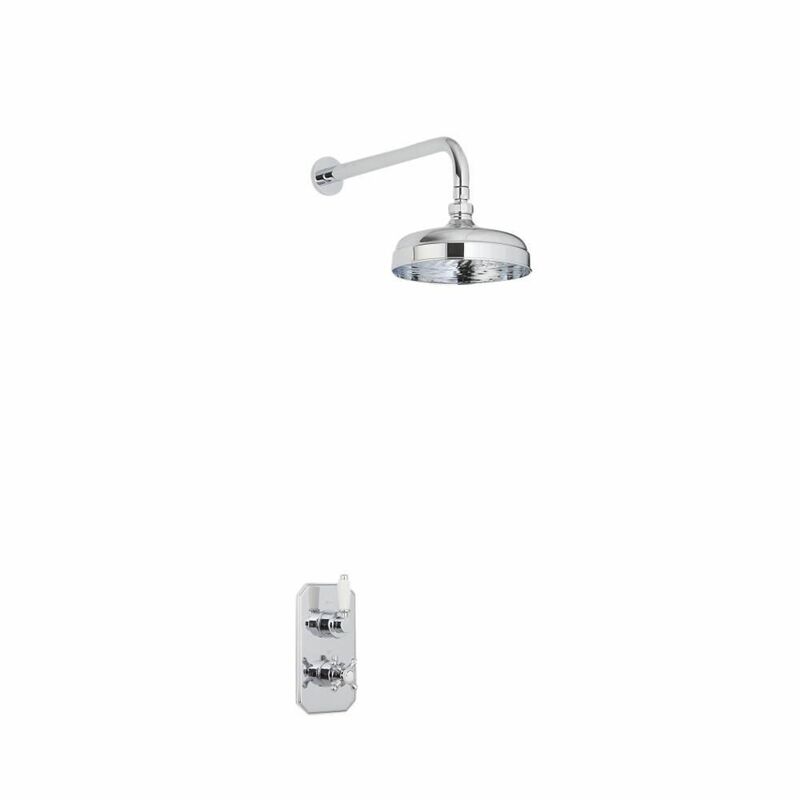 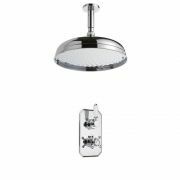 Enhance your traditional bathroom with the Milano thermostatic shower valve and 200mm apron shower head. 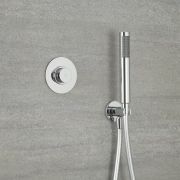 Suitable for all plumbing systems, the solid brass thermostatic shower valve incorporates an anti-scald device to ensure a safer showering experience, as well as ceramic disc technology to prevent leaks and drips. 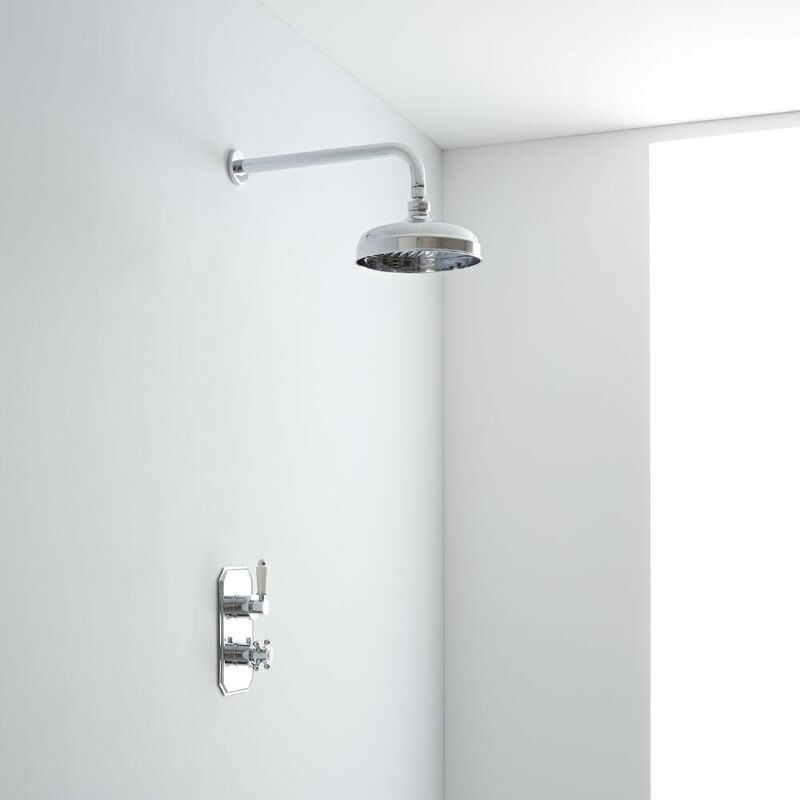 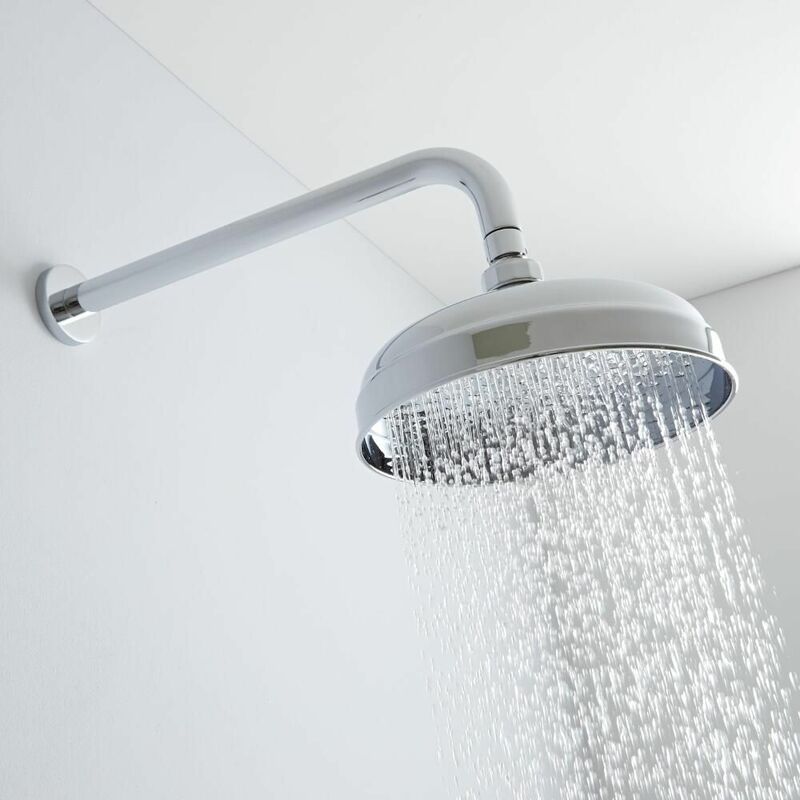 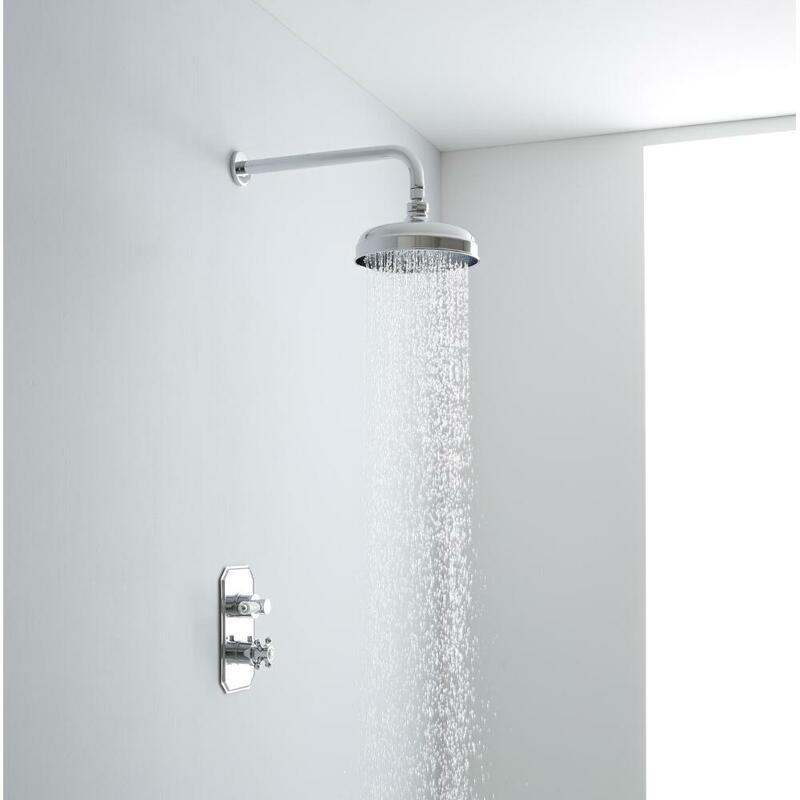 The elegant shower head delivers a refreshing rainfall effect to awaken your senses. 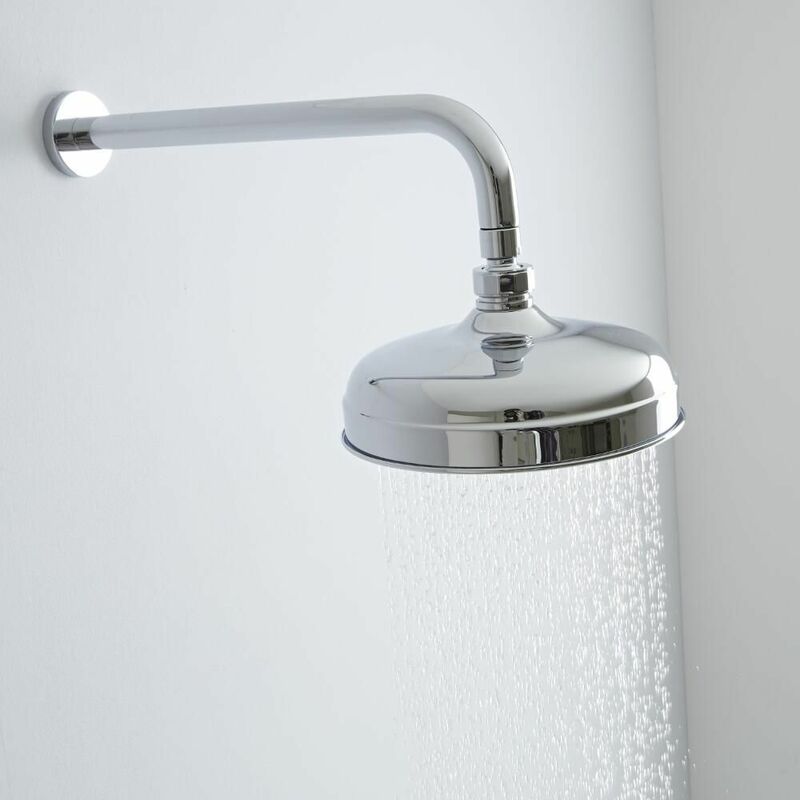 It comes with a solid brass wall mounted arm.